On June 13, 1776, the ship Oliver Cromwell, built by Uriah Hayden, was launched in Essex. 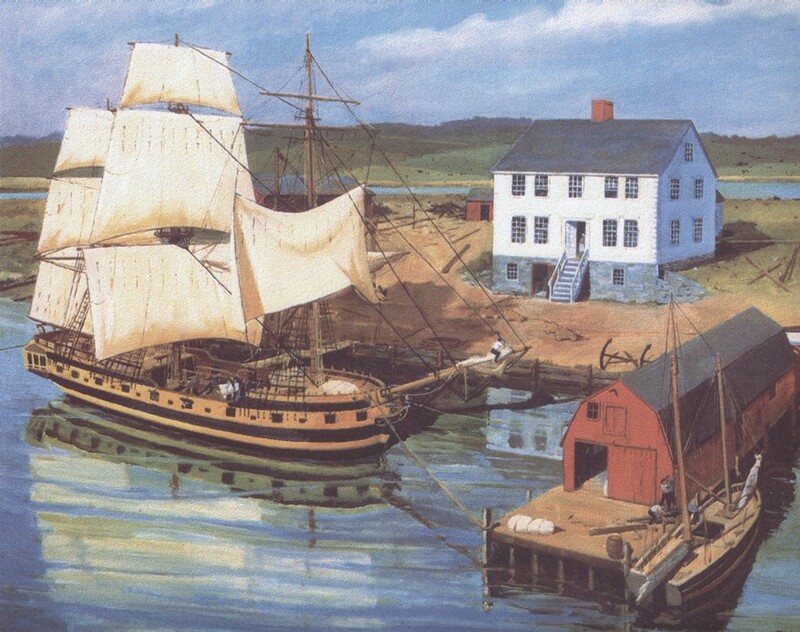 The ship was one of the largest full-rigged ships built for the state after the establishment of Connecticut’s navy. The Navy was formed after the start of the American Revolutionary War in July of 1775 when the Connecticut General Assembly authorized Governor Jonathan Trumbull and the Council of Safety to purchase and outfit two armed vessels. The General Assembly later authorized the purchase of more ships including the construction of the Oliver Cromwell. All of the ships of the Connecticut Navy were captured or destroyed by 1779. The Oliver Cromwell, in its service to the Navy, captured nine British ships, the first being the brig Honour, before it was itself captured in July 1779 off Sandy Hook by three British ships and a brig after a two-hour battle.